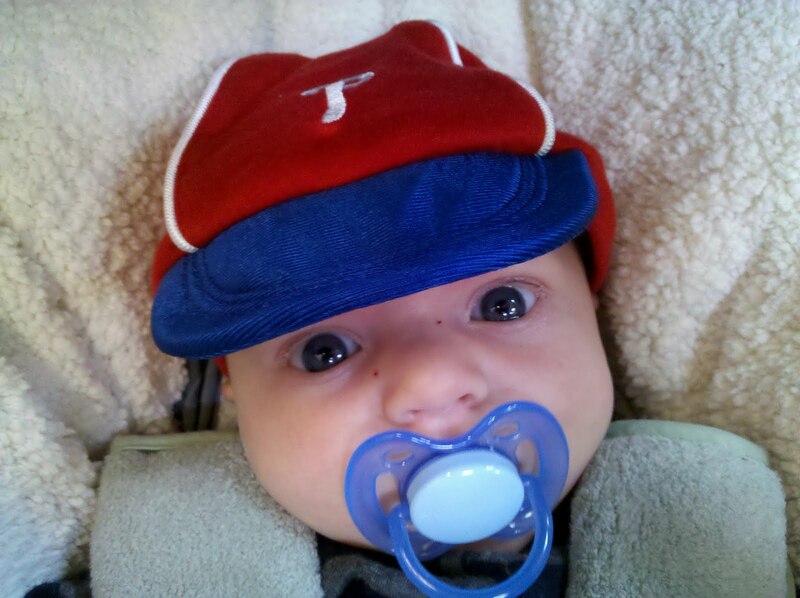 Today is opening day for the Philadelphia Phillies and our whole family is ready, even the littlest one. That's a big sign that spring is here. My stepson plays baseball and my husband coaches. We will be deep in the game from now through June. They've already had some practices and scrimmages and their opening day is in just a few weeks. As for the pros, go Phillies! We are excited to have Cliff Lee back and we'd sure like to see them in the World Series again. It's time to play ball. Baby Jonas is ready. Are you?